You and your team researched to find the best performance management process, you wrote all your internal docs and you got your new people management system up and running. Managers are meeting more frequently with employees, praise is a-flowing, quarterly goals are in place — so why aren't you seeing the results you expected? You just haven't nailed down every component yet. The good news is you're taking huge strides in the right direction. 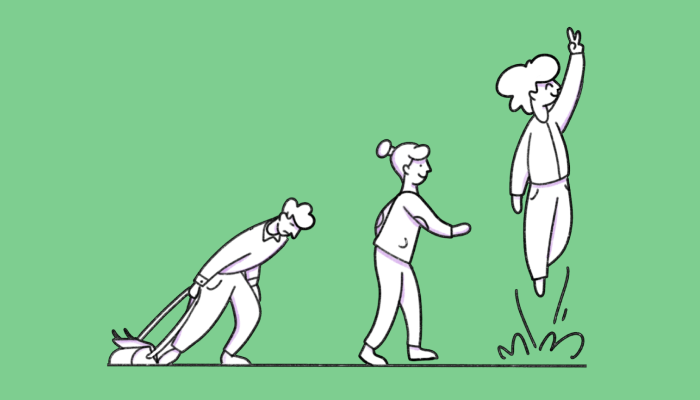 Your push for a better performance management process is positively reshaping your workplace, and it's set a great foundation for you to iterate on. To get to the performance management process that will work optimally for your workplace, you have to find the cracks in your current process. That means when you've done the groundwork and have all the basic elements in place, you have to give yourself a chance to find out where your remaining weak spots are and to shore them up. We'll cover four common problems that companies face after implementing a solid performance management process. Working to solve these problems will enhance the performance management process you have and ensure that your employees are supported, and your performance management process gets the most out of them. Employees need training and opportunities to build new skills. If you've already got an efficient process for evaluating, meeting and getting feedback but progress is stagnating, development opportunities may be to blame. Yes, giving employees feedback and helping them chart their next steps is critical to supporting their progress. But giving them the opportunity to progress their skills and build their career is critical for a performance boost — and for keeping your top performers at your company. Prioritizing employee growth will help employees reach their potential and will help them see their future career at your company — not at someone else's. When people think about goal setting in performance management, they often think about goals for individual employees to hit or target numbers for quarterly group performance. These are an important component of performance management, but they're not the only goals that are important. High-level vision is key to a company's success, and it directly affects the performance of employees. If an employee has a task list that only takes them to a quarterly performance goal, their work feels inconsequential. 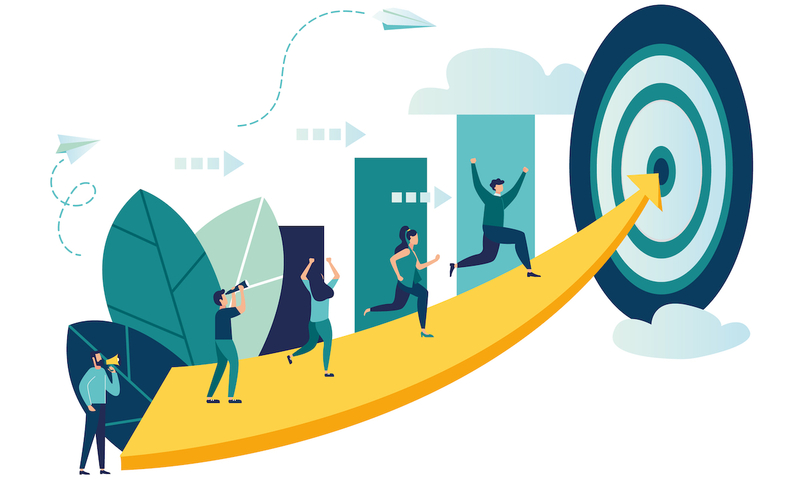 If your company has lower-level performance goals and tracking, but finds that employees are still not engaged and on track to meet their goals, it could be because company goals are absent. This is something that upper management needs to decide on for company success. What is the point of the company? Is it to help people book a perfect vacation? To change the world by connecting mentors and mentees? Tell your employees what the top-line goal is and remind them of it. This vision, and the public goals that go along with it, is critical to employees caring about the work and the result of their work. Then, you can reap the benefits of structuring smaller goal setting that you have incorporated into your performance management process — that's putting the cart after the horse. But the truth is that even if you are available, giving great feedback and helping people on your team, your team will still feel like you don't respect them or take them seriously if they never get to share their ideas and pain points. Employees need to be able to voice their opinions and work with their managers, not feel like they're just being told what to do. Managers and employees work together and communicate with each other — managers are not just a mouthpiece. Managers need to know how their employees feel, how they like to be praised, what they, themselves, can do better to support an individual. How does your company keep track of everything that goes into your performance management process? Do your managers take notes in one system, your employees get self-evaluation forms in another, your teams give praise on any platform and schedule on another app? When this is the case, it is hard to chart progress, keep track of goals and empower employees to take charge of their performance. It's also a drain on employees and managers to ask them to gather information from many platforms every time a review comes up. You need a performance management software to keep track of and standardize everything or risk your performance management process crumbling from user friction. 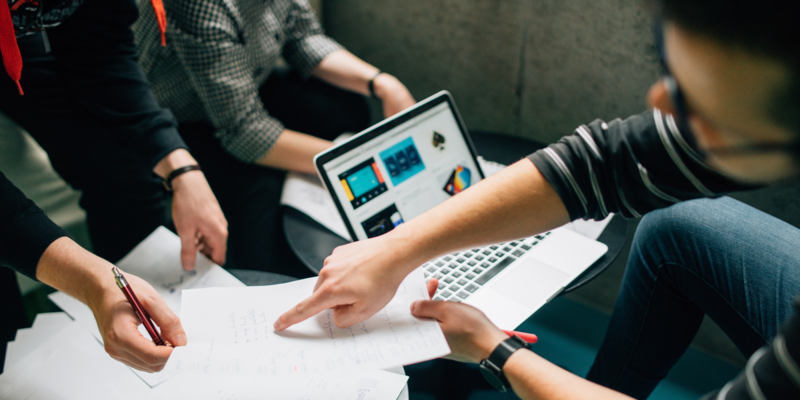 With a performance management software, managers can easily track and schedule 1:1 meetings, check in on employee goals, give public praise, solicit feedback, and, of course, perform 360 degree performance reviews. Employees can manage their own performance and keep track of their own goals, charting progress as it happens. Tracking goals, meetings, praise, and constructive comments mean you can chart progress and reevaluate when an employee isn't progressing. When information is siloed or buried in different software tools or given out in a nonstandard way, that erodes your ability to build momentum and consistency with your performance management process and with any given employee. When you've done the legwork to put together a performance management process, it can be disheartening when it isn't immediately the perfect process. But rather than settling into a system that's only taking you part of the way, work to find those opportunities where you can make things better. Iterating on your performance management process is the way that you can make it great. There are a lot of moving parts in performance management processes and it's unlikely you'll hit the bulls-eye on all of them on the first try. Pushing your company to invest in making your performance management outstanding is work that will pay dividends for years to come. To get to the best performance management process for your workplace, figure out what is and isn't working in your current process. The two most popular frameworks for corporate goal setting are SMART goals and OKRs. This article focuses on the former. I thought I’d have to quit to get promoted. It turns out I needed something else. When she hit a road block in her career, Jean Hsu found an unexpected solution.